The challenge: Vacations to America have a very wide range of tours, hotels and accommodation which used to be a real pain to update. They wanted a clean new template using their brand colours and making the most of their excellent stock of photographs. They also wanted it to be mobile friendly and easy to update. 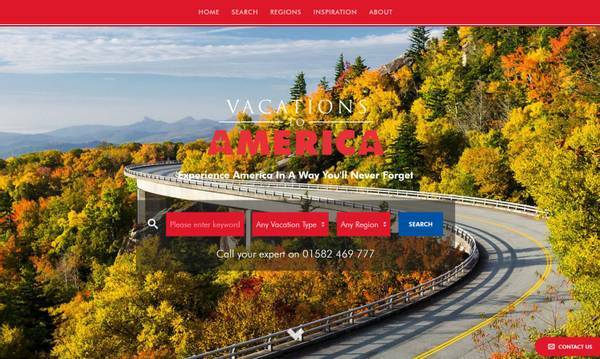 We produced for them a clean template using TravelZen to make the updating of their products easy and to give them scope to expand for the future.